Dimensions 0.75 by 7 by 9.75 in. 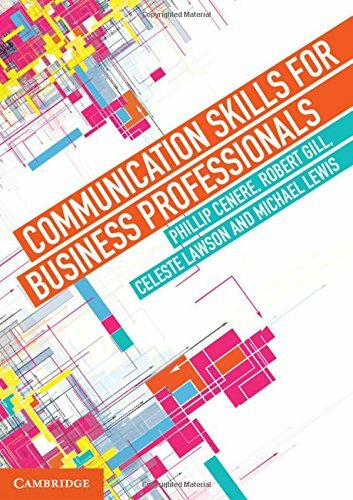 Amazon.com description: Product Description: Communication Skills for Business Professionals is a student-friendly introduction to the principles and practice of effective communication in the workplace. Engagingly written and full of real-life examples, it explains the key theories underpinning communication strategies and encourages students to consider how to apply them in a contemporary business environment. After working through foundation topics such as understanding the audience, persuasion and influence, negotiation and conflict management, and intercultural complexities, students will explore the various modes and contexts of workplace communication including meetings, oral communication, written reports and correspondence. The text incorporates discussion of new digital technologies such as virtual real-time communication, and dedicates an entire chapter to the specific considerations involved in writing for the web. With its emphasis on Australian contexts and examples, Communication Skills for Business Professionals is an excellent introduction to the world of professional communication.